Some of you may have seen my latest short film RESIGNATION floating around. If you haven't (which is much more likely) I wanted to take the opportunity to present it to you here on Hollywood Bound & Down. Or you can watch the immersive version through the Multi-pop player. 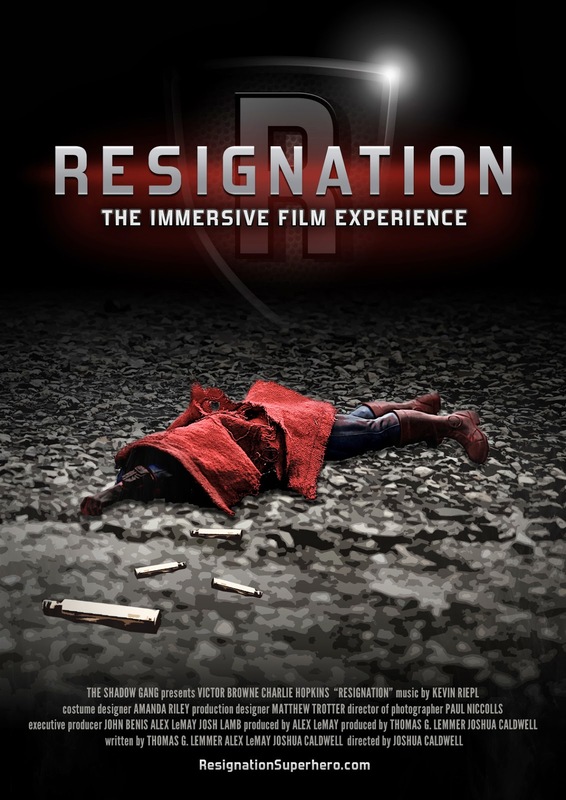 If you do, I would highly recommend that you expand to the full screen experience or watch the film on the main website ResignationSuperhero.com. The width of the blog just doesn't allow for the full experience and at the least, throw in some good headphones.